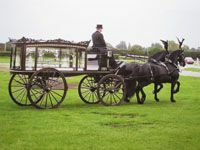 We are experienced in arranging traditional and non-religious funerals and cover all areas. The green funeral option continues to grow in popularity and there are now around 200 woodland burial sites all over the country. The environment of green burial grounds are kept as wild and as natural as possible. We are members of The National Association of Funeral Directors and abide by their codes of practice. If you are arranging a funeral now or planning for the future, please call us. We are able to immediately advise you in the registering of the death and give you all the time, support and advice you need. For funeral services in all areas, call Slater's of Horsforth - we can help you 24 hours a day, 7 days a week.